For quite some years now the state of the Russian regional air transport market has been described almost exclusively in negative terms. In fact, it is not an easy task to define regional air services in Russia. A Yekaterinburg-Vladivostok route, for example, could be called regional because it links two different regions of the country, but its sheer length begs to differ. 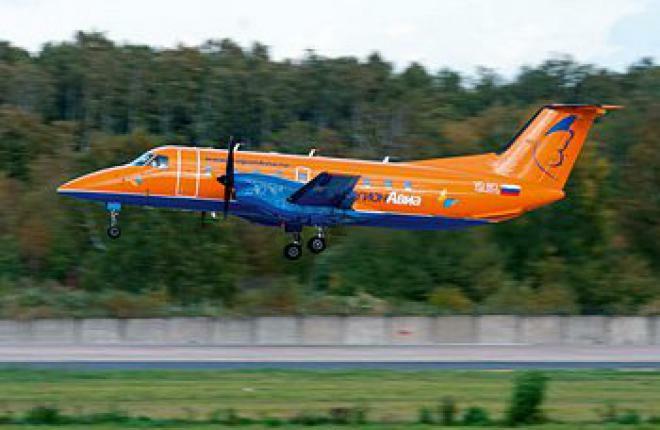 This is why regional air services in Russia have come to mean primarily short-haul routes operated by smaller aircraft carrying 50 to 70 passengers. The segment lost one of its most prominent representatives in early 2011, when the Domodedovo-based operator Region-Avia folded its wings. What was initially termed a temporary suspension of services proved a permanent closure. Region-Avia director Denis Pavshinsky had said in January that the company was looking at various possibilities to resume operations, including a merger and a change of base airport (Pavshinsky mentioned Yekaterinburg and Samara as two potential new bases). Neither option seems to have played out. When Region-Avia was launching in 2007 its plans included investing some $65 million in a 50-ship turboprop fleet. Most of the money was to come from an EBRD-run fund. The airline expected at the time that it would be carrying 3 million passengers annually by 2010-12.